My sister the sister (she is a nun) is visiting, so I am spending a few days taking her to interesting places. Yesterday we were at the Arboretum hoping to catch the lilacs in bloom, but they were already done. For the most part it was pretty much looking at plants not in bloom. 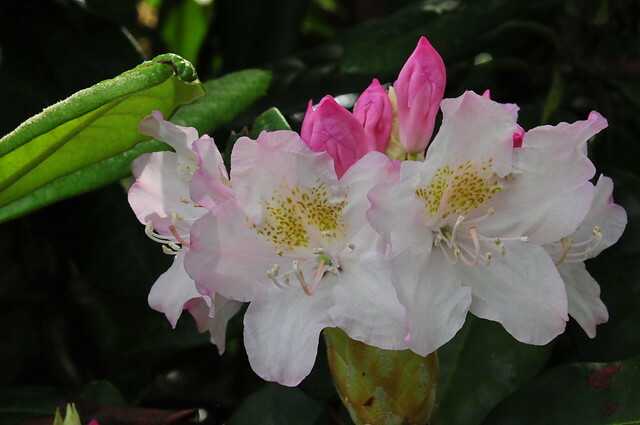 There were a few, like this rhododendron. 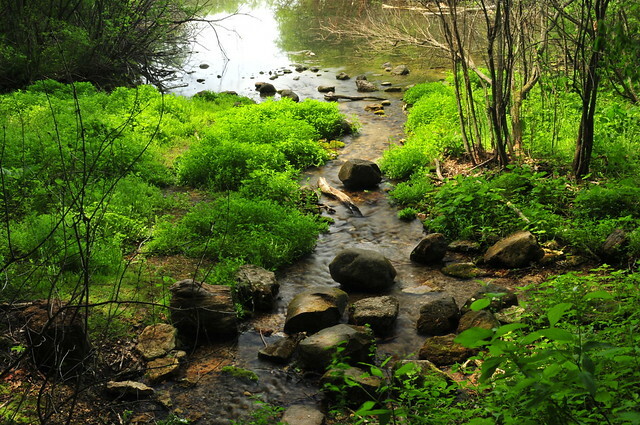 We found the most delight when we walked down to the spring. She got to imagine people getting married there, and I snapped a photo of us to share with the rest of the family. You get to see just the spring. For the above shot I once again added both the circular polarizing and neutral density (ND4) filters and used the lowest possible ISO and highest (smallest) possible aperture so that I could get longer shutter speeds. In this case the shutter was open for 2.5 seconds. This photo was the 29,767th I have taken with this camera (in approximately a year and a half).